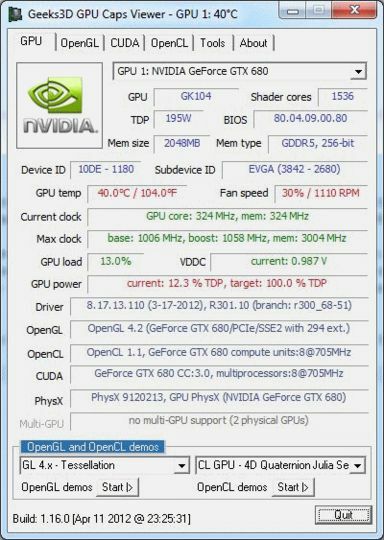 GPU Caps Viewer is a graphics card utility for Windows, providing information about your graphics hardware, from oZone3D. display of the OpenGL extensions supported by your graphics card or display of all existing OpenGL extensions no matter what graphics card you have. For each extension, you can open its description webpage available at the OpenGL Extension Registry or at NVIDIA''s OpenGL Extensions spec. Very handy for graphics developers!